Anne Marie Ardito appeared poised to leave on a high note as a lacrosse player, winning a state championship with Manhasset High School her senior season in 2014. After a two-year hiatus, however, Ardito is back playing the sport. 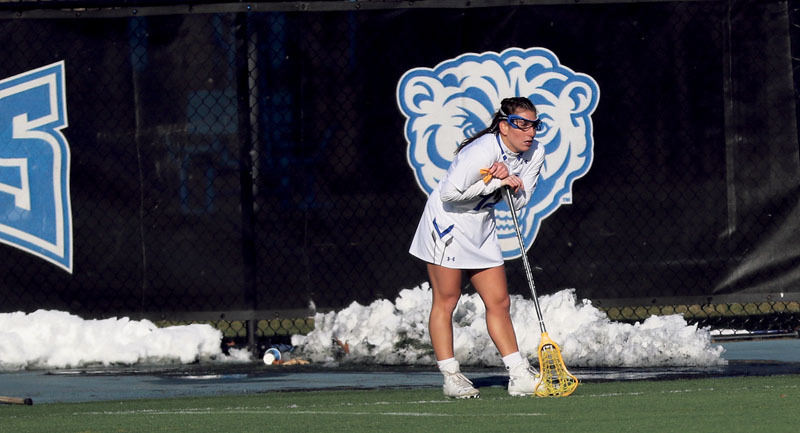 When NYIT launched a women’s lacrosse program days after Dowling College ceased operations last June, 14 student-athletes came over from the defunct school to form the nucleus of the Bears’ inaugural team. But coach Kerri Handras, who also arrived from Dowling, needed to round out her squad with players already on the NYIT campus since it was too late to sign a full complement of recruits. Three NYIT women’s soccer players who had experience playing lacrosse in high school—sophomores Brooke Skahan, Erin Lankowicz and Caitlin Appel—volunteered to join Handras’ fledgling program. 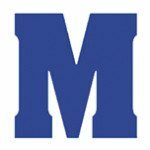 And Ardito, who had coached fourth- and fifth-graders as part of the Liberty travel program during recent summers but had not played since high school, revived her lacrosse career. She had spent her first two years of college, including one semester at the University of Miami, focusing on pursuing a premed degree. “At that point, coming in at the end of June, it was a little late to get some players to come in,” Handras said, referring to recruits out of high school. “We were very fortunate these girls were interested in playing. They have stepped up and have been instrumental in our success. It’s definitely helped us form a team here. Fourteen players, I don’t think, is a complete team. Other than “running drills and picking up ground balls here and there” while coaching youth teams, Ardito—now an NYIT junior—legitimately had not played lacrosse since high school. “It’s tough to add a sport your junior year, especially with my academic career. 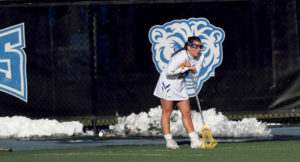 But I just couldn’t turn it down,” said Ardito, a defender who has tallied 13 ground balls and six caused turnovers while appearing in all nine games for the 14th-ranked Bears. “It was so exciting to have an opportunity like this, with a team that just started. I had to do it. Ardito should have two years of lacrosse eligibility even after graduating with a bachelor’s degree in biology in May 2018. 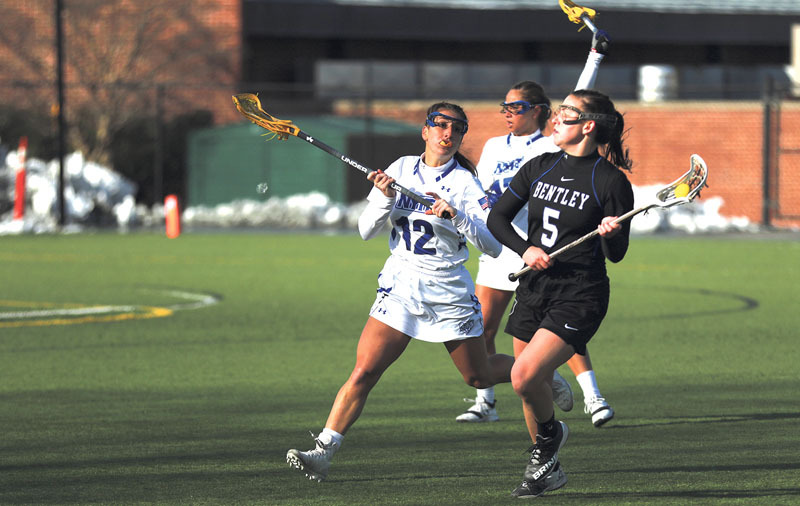 It would be a difficult balancing act, but Ardito could see continuing to play college lacrosse while in medical school—if she ends up at an institution that has the proper athletic match. That could include staying on the Old Westbury campus to pursue a degree at NYIT’s College of Osteopathic Medicine.